This fall, a Massachusetts lender closed on a fully paperless mortgage. The work that led to this rare achievement captures the difficulties originators still face in digitizing the loan process. Radius Financial Group in Norwell electronically closed six loans beginning in October. The process was created in partnership with the tech vendor DocMagic, the MERS loan registry, Fannie Mae and Santander Bank. Electronic closings and e-notes have been kicking around for a long time. 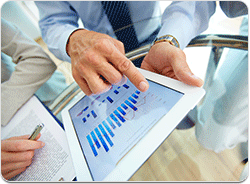 Fannie Mae and Freddie Mac have purchased e-mortgages since the early 2000s. But they remain rare, partly because there are few warehouse lenders that can handle these transactions. 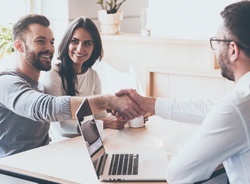 Rarer still are completely paperless loan processes that combine an electronic closing with an electronically signed promissory note and deed of trust. TORRANCE, Calif., Feb. 17, 2015 -- DocMagic, Inc., the leading provider of fully-compliant loan document preparation, compliance, eSign and eDelivery solutions for the mortgage industry, announced that the firm has now completed its integration with the MERS® eRegistry, making it one of only a few industry vendors to integrate with the widely used system. 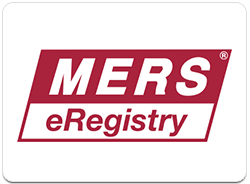 Launched in 2004, the MERS® eRegistry is the legal system of record that identifies the owner or holder (Controller) and custodian (Location) for registered eNotes and provides greater liquidity, transferability and security for lenders, according to MERSCORP Holdings, Inc. It was created in response to demand by the mortgage industry for a system to satisfy certain safe harbor requirements under the Uniform Electronic Transactions Act (UETA) from 1999, and the Electronic Signatures in Global and National Commerce Act (E-SIGN) from 2000.